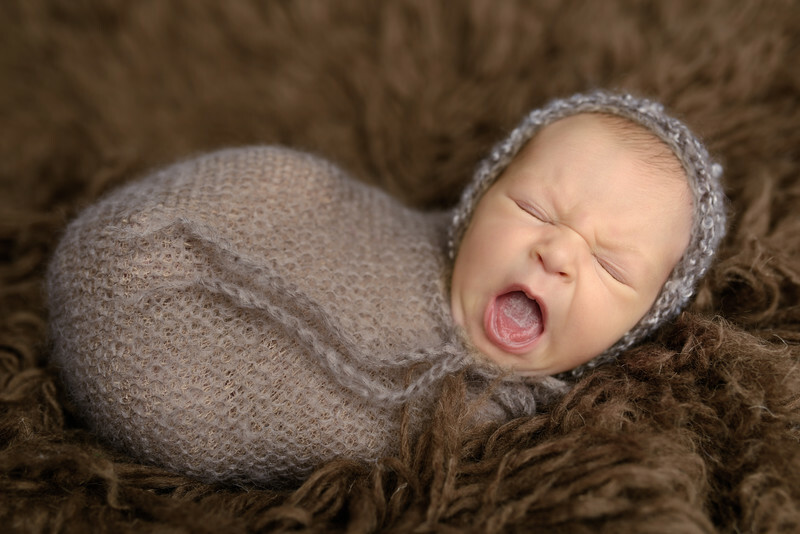 Yawning Newborn in brown lacy hat and wool wrap on brown rug. Keywords: brown (9), february (9), hearts (3), newborn (123). 1/125; f/2.8; ISO 64; 35.0 mm. Vancouver Washington Portrait Photographer Email: mail@conniemintz.com Phone/Text: (971) 266-1861 300 East 13th, Suite 103 Vancouver, WA 98660 All written, design, and photographic content Copyright ©2019 Connie Mintz Portrait Art All rights reserved, do not copy, download, or reproduce.